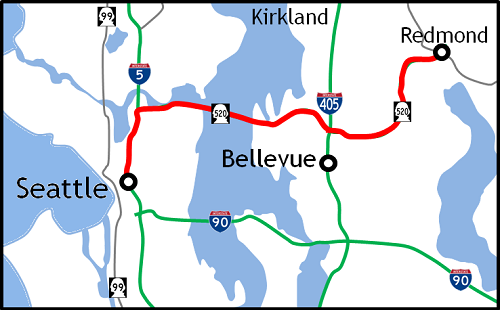 The route extends 14.5 miles between the the University St. exit on I-5 in downtown Seattle and the Redmond Way exit on SR 520 in Redmond. Other routes include using the I-90 bridges from Seattle to Redmond. View the Express Lane schedules for I-5 and the I-90 bridge.